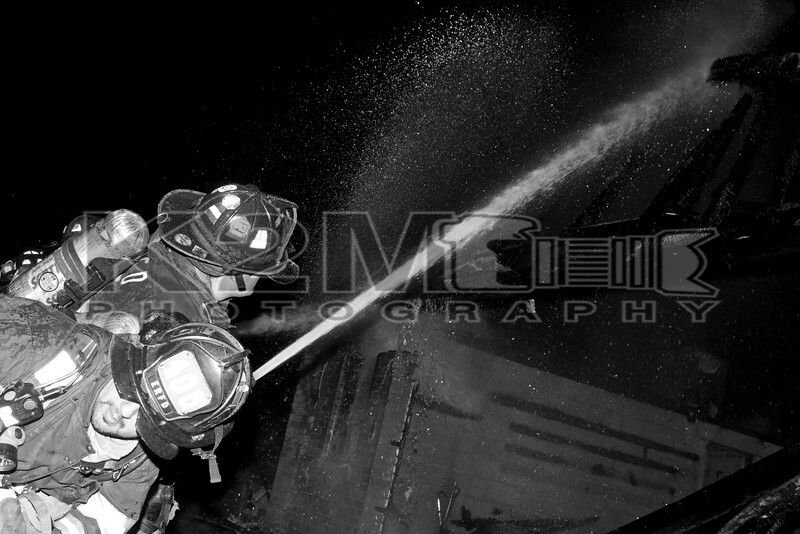 Just before 03:00 hours on the morning of Sunday, August 2nd, 2015 the East Rockaway Fire Department was dispatched to a report of a garage fire at the intersection of West Boulevard and Cooke Street West. East Rockaway Second Deputy Chief Gene Torborg  reported smoke showing from a distance while responding. Upon arrival units were met with heavy fire in a detached garage with possible extension to neighboring buildings. The signal ten [working fire] was immediately transmitted followed by a second alarm which brought standby units in to the scene. East Rockaway engine companies attacked the fire from two sides and were able to keep the main body of fire to the garage in which it started. Two homes, one other detached garage, and a small shed all suffered damage from the radiant heat of the fire. No injuries were reported and the scene was placed under control in around one hour’s time. All fire department units were under the command of East Rockaway Second Deputy Chief Gene Torborg .